Unfortunately copy and paste symbols across documents disconnects the symbols and create duplicates. Can't believe such an essential thing still doesn't work? Also when library source file is moved or renamed symbols disconnect. No way to connect them again. This makes it unusable in production environment. If you copy a library symbol to another file that also uses that library, it won't duplicate the symbol. It will just create a reference to the symbol from that library. But if you copy an instance of a symbol from one sketch file to another, it will always create a new symbol. If your library file is renamed or removed and you can't edit the symbols, all you have to do is add the library again in the Libraries tab in Preferences. That should get your symbols working again as normal. You are right Nuno, removing the library and adding it again from new location seam to fix the problem. It is counter intuitive but fixes the problem. Copy and pasting symbols still doesn't work for me. It seams no different if symbols are already inserted in the document or not. Looks to me that if you add a library it's available to all files. I don't see any way to copy and paste a symbol from one file to another without unlinking it from the library. I'm on the beta though. Have they fixed this in the release? Curious: Why are you renaming and moving around your component library? It's a pretty fixed thing in my design team so everyone knows where to get at it. 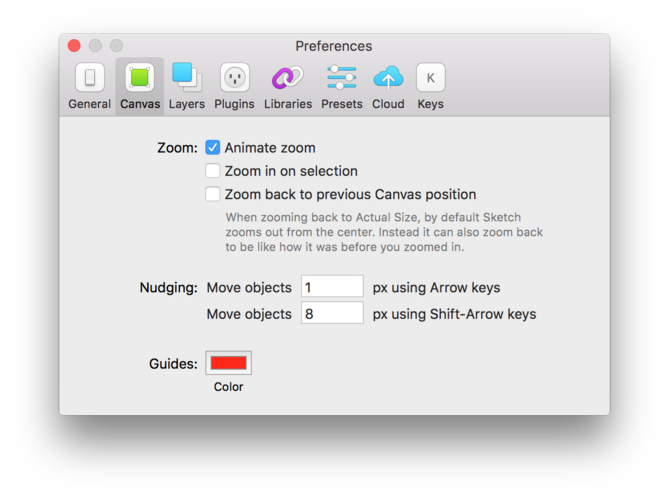 This is a great update, but Sketch, please fix the Overrides menu! It's crazy! Our Team Library is well organized by "Name / nameName" but the Overrides menu just completely ignores any naming structure after the the 1st level. Does know else have a problem with this? Not understanding your gripe. Everything as normal for me. Edit* Nevermind I see what you're saying. Haha, I’m not trying to sound ungrateful. I know how hard product dev can be. But this implementation is so damn close to perfect that this killing me. No doubt. Wasn't implying you weren't. I think we are all frustrated with sketch and figma doing it right in such a short time has only escalated that frustration. Couldn't agree more. Sketch Libraries are awesome, and the beta has been solid (as Sketch releases go! ), but being unable to widen the Overrides menu is crazy. I've kept the structure as minimal as possible, partly because of this constraint - but still can hardly see beyond the first level in the sidebar. It's a guessing game. Also having issues with some symbols which appear to contain far more overrides than they actually possess. There's a lot of planning & organisation involved in structuring Libraries, which means a lot of renaming & re-structuring. This menu, and the fact that symbol names do not update across documents (why?!) - are the biggest frustrations at present. I am having the exact same problem and it is also driving me crazy. I'm also having major issues with this. Any solutions? Just have to wait a few days now to find out if it's buggy or not. My bet is on buggy... although I have used the beta for the past few weeks and it's been quite stable. Abstract already released an update to support Libraries already, wow. Though I'm a big Figma supporter, I use Sketch full-time currently, and with Abstract supporting Libraries already, I don't see a reason to not use Abstract+Libraries. Figma has catching up to do when it comes to how powerful Libraries (and Libraries referencing other Libraries) are, but in time I'm sure they'll get there. I've been testing Libraries Beta and already prefer it to Brand.ai. It being native, completely free, and very flexible makes it really hard to not use. Hopefully in time Sketch will support text styles in Libraries. Yeah, I actually asked them about it this morning. They are working on it, but don't have an estimated release date for the feature. Collections are great, and when they do handoff, people could use Abstract over Invision. Can you elaborate more on the improvements you would like us to make to Team Libraries? I hadn't used the newest Team Libraries until upgrading just now to give it a quick try. The improvements are are awesome, as expected. Being able to organize the team-level components into multiple files and frames to organize them is a huge improvement over the last time I used it (when it was in a modal). In the quick test I did just now—and I'm sure it's on your roadmap—I definitely want the ability to override nested components with the dropdown in the right-side panel. With Sketch, I am constantly nesting symbols to make each symbol as flexible as possible. Being able to have global color symbols, and use them to mask icons is invaluable. I can drop in 1 icon symbol, and simply override the nested color symbol to colorize it. Love to see you guys here on DN all the time. You're always extremely responsive and it's obvious everyone notices and appreciates it. Am I the only one who feels that design & implementation of libraries in Sketch is like it was done by programmers? Is it hard to have scrolling view with search, categories etc. that is visible all the time? Here's all the cool stuff you can do with Libraries! Nailed it. Thanks for the write-up. Obligatory Safe to upgrade or not comment. always wait for the .1 update and the devs of the plugins you use to make their software work again. So far I have not ran into any crashes bugs or unstable things. Awesome! I've been waiting for this for a long, long time. There was an issue with the beta when copying artboards between documents where library symbols were converted into local symbols. I heard the guys at Sketch were on to it. Can anyone at Sketch give us an update on when we might see a fix for this? Love the default iOS library they gave us, but does anyone else have problems aligning the iPhone X Status Bar symbol within the iPhone X "frame"?? Yep, there's no padding around the status bar. See how they align it in the Navigation Bar symbol. Ya, they didn’t put in the 44pt container. Pretty annoying actually. And I can’t find where they placed the file, so you don’t even know what’s in it or what they are called. I can’t wait to start using Libraries! Thanks Sketch team! what exactly did they improve there? I have updated and I don't really see a big difference, maybe its so subtle that I don't see it? If you build a structure like Components/Tables/One Row ... for your Symbols the structure won't work anymore. You will get all possible Symbols shown when you click on a dropdown on the overrides. I know :D Thanks for the reply. What do you do instead to organize nested symbols? Thanks. I know how to change it. I'm just sad for Zeplin because I love 'em. :) They occupied their lovely shortcut. Yeah, that one bugs me. Is it me, or is the performance incredibly slow on High Sierra? To the point, I get the spinning wheel of death.. Anyone had success in using several documents with symbols that depend on each other for libraries?